I’ve had a big-time crush on her beautiful business…so when I read those messages and realized that I would finally be able to see one of her specially curated creations up close and personal, I 1) was elated and 2) decided that documenting and sharing the unboxing would be a lot more fun than just keeping it all to myself! Skip the chocolates and flowers. Here are 6 points-earning Valentines gifts. You know she’s gonna give you a great gift...here’s some ideas to keep up. Objects of Our Obsession. Although none of the items on this carefully curated list of obsessions is necessarily edible, we wanted to take a look at some of the other artisan products created, produced, and distributed locally. The Shine's On Sunnyday Mercantile. 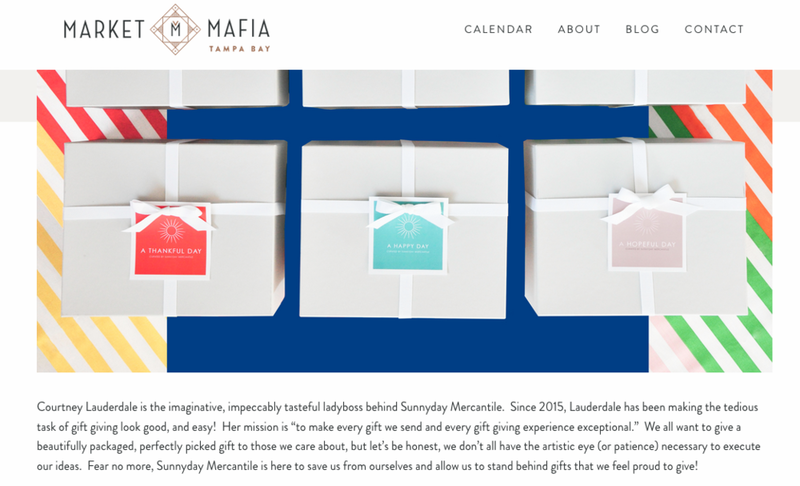 Owner Courtney Lauderdale recently released the St. Pete Day gift box. This box is a celebration of all the awesome things being made and being done in The Burg. The first release of this bi-annual gift box is filled with local tastes and smells produced by some of St. Petersburg's most creative makers.